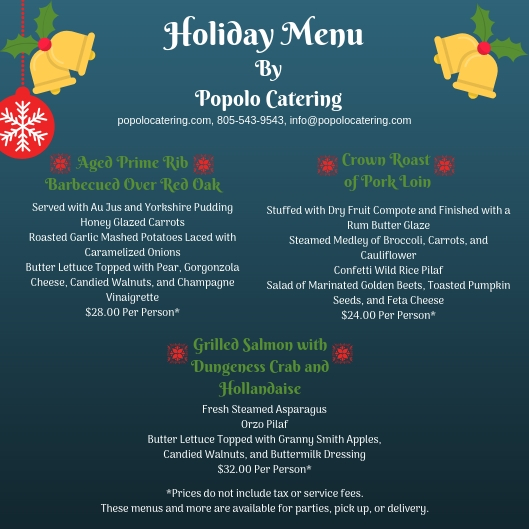 Instead of worrying about planning and cooking a meal for your holiday party, pick up a delicious meal catered by Popolo Catering! We have created three special meal packages that come with one entree and three sides that will surely leave your guests talking about the food for months. 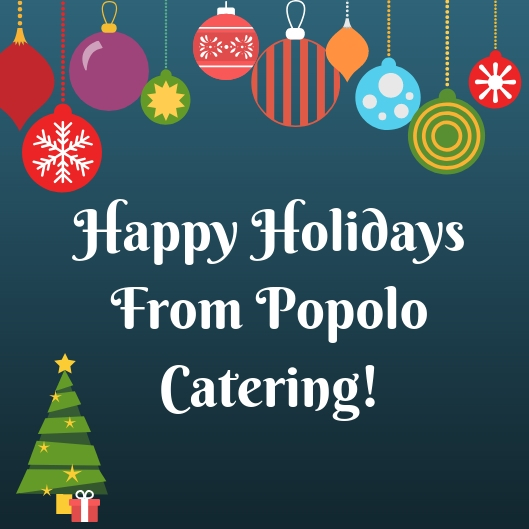 Have fun with your loved ones and feel stress-free when you order with Popolo Catering. Please contact the office at 805-543-9543 or info@popolocatering.com to place an order.